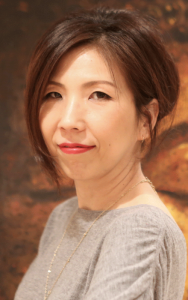 Aki Miyazaki Read is a Creative Senior Stylist and Colour Technician. Originally from Japan, Aki began her career with Westbrook in 2006. Prior to Westbrook she worked as a Make-up artist and Fashion Stylist and has 20 years experience in this field. After completing her training with Westbrook, is also now a qualified Stylist and Creative Colourist, specialising in the ‘Dry Carving’ cutting technique. Being a qualified Hair Stylist and Make-up artist, Aki specialises in Bridal Hair-up and Make-up for Weddings and special events and editorial fashion work. She is also trained in the Japanese Hair Straightening technique.